Zapovednik Barguzinsky, in the central part of the Republic of Buryatia, was founded in 1916, with an area of 374,3 thousand ha, including the area of the biosphere polygon – 111,1 thousand ha. It is situated on the North-Eastern shore of Lake Baikal, including the western slope of the Barguzinsky Mountain Range up to its ridge, with absolute heights up to 3000 m above sea level. 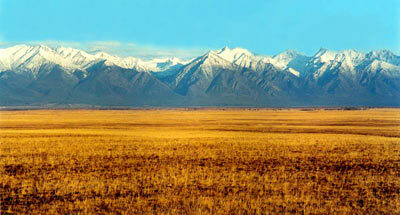 On the South the Zapovednik borders the Zabaikalsky National Park. Large amphitheaters with lakes and plumb rocks are characteristic in the high mountains. Fields of crumbled bodies of rock are widely developed. In the lower heights, on the terraces of the lake, open larch forests with cedar elfin woodland are spread. In the middle mountains taiga dark coniferous forests of fir and cedar prevail, and in the valleys great numbers of spruce, balsam poplar and Chosenia. In the next belt there are larch and spruce light forests and thickets of cedar elfin woods. Above 1500 m in the mountain tundra are rhododendron and rocky lichen zones. Sometimes meadows of alpine plants can be met. The wood-covered area makes more than 220 thousand ha. Flora counts 350 higher plants species, including 7 rare species. There are many hot springs with the temperature of 40-760 ?С and with peculiar termal communities near them. The fauna of vertebrate animals presents 39 mammal species, 260 birds' species, 4 reptile species, 2 amphibian species. The number of sable, who's protection happened to be the primary aim of the Zapovednik's creation, has grown compared to the foundation date 300-400 times (in 1993 — 900 sables). Of typical mountain, taiga animals brown bear, reindeer (forest form), elk, skunk bear, otter, hazel grouse, Tetrao urogalloides are usual. Of rare birds white-tailed eagle and fish hawk can be met. In the water of lake Baikal 50 fish species are known, including 25 species of goby, and also Arctic sisco, sisco, taimen, etc. 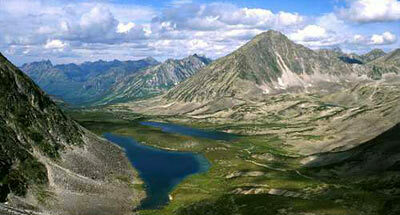 The Zapovednik has the status of biosphere Zapovednik. 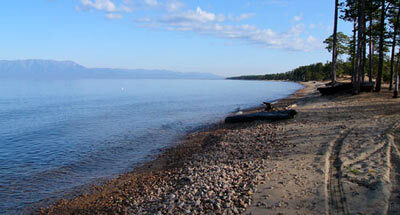 It belongs to the World Natural Heritage Site "Lake Baikal".